On first blush, someone reading that might think that Adams supports Donald Trump for president. Trump has no experience in either elected or appointed political office. In fact though, Adams supports Hillary Clinton for president. He was simply making a point. He believes that political experience is unnecessary to be president. As people who read this blog know, I don't give my personal political preferences. But I am a student of history, particularly of presidential history. I also study leadership. I've spent more than thirty years as a pastor, a servant leader in and from the Church. I've also spent countless hours over the years picking the brains of leaders, trying to learn all I could on the subject. And here's what I think about Adams' thesis: He's right. "Experience," at least as we commonly think of it--as political experience, is irrelevant in a president. By the way, I'm pretty sure that experience as a business leader or entrepreneur, per se, is irrelevant too. (Although many business leaders may be qualified for the presidency.) Most at the top of the heap in business are either system people or bulls in china shops. The system people are "don't rock the boaters" unlikely to initiate things that need initiating. The bulls in china shops know little about creating consensus, a central presidential skill, and are fairly proficient at causing unnecessary trouble. Experience is overrated. I say that in part because I live near Silicon Valley and watch inexperienced people changing the world every day. Smart matters. It matters a lot. Experience is often helpful, but it is also deeply overrated. Hmmm. Smart matters. But, it's not all that matters. Remember that it was Kennedy's and Johnson's Best and Brightest who got us into the Vietnam quagmire, smart people who sent tens of thousands to their graves knowing that the war was unwinnable and pointless anyway. Smart without wisdom and "common sense" and, very importantly, an understanding of history, can be disastrous. God revealed this through ancient King Solomon: "Where there is no guidance, a people falls, but in an abundance of counselors there is safety" (Proverbs 11:14). In the end, I think, great presidents are not only made by the great--almost impossible--events they must navigate as leaders, but also by the counselors to whom they choose to listen. Our best presidents listen to "an abundance of counselors" and then, decide who to listen to. In that sense, as flippant as Scott Adams' tweet on this subject may have seemed two days ago, I think he's onto something. Listening to the right advisors is among the most essential quality of a leader, including presidents. Find a good listener and you will have found a good president. 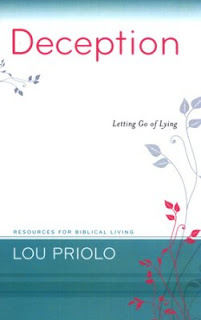 One of the things I'm reading these days is a short booklet called, Deception: Letting Go of Lying by Lou Priolo. A while back, a friend accused me of lying. The old Adam, this old earthly sinner, in me, raised a wail of indignant denial. But, as time has passed, I've come to believe that my friend was right. I had lied. Here's what happened. A group of disciples at my former parish had led the charge in favor of the authority of God's Word in a dispute in our congregation. They backed my position. 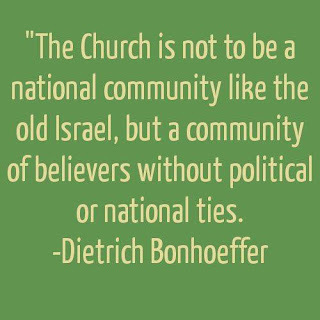 There were votes over whether the congregation would stay within a denomination we thought was turning away from Scripture or move to a congregation that upheld Scripture's authority. This group who prayed hard, studied hard, and worked hard to move the congregation to the new denomination, and I, would often speak about what we might do depending on the congregation's decisions. In the midst of it, I made the implicit promise that I would stick with them. There were many complicating factors, as there always are in life. But that's the bottom line: I said that I was sticking it out. The description of what the congregation was looking for in a senior pastor is what caught my attention, though. It was as if they were telling me, "We created this position for you." I contacted an official from our denomination about the possibility of submitting my name to the church's call committee. He didn't discourage me, but he didn't give me any encouragement either. "You should know, Mark," he said, "that a lot of good pastors have put their names in there." My biggest concern was whether I would be abandoning Saint Matthew if I were to leave after six years as the congregation's pastor. Based on prayer and conversation, I decided that there would be no harm in submitting my name and, if the call committee at Living Water decided to proceed, interviewing for the position. I submitted my name and vita with little expectation that the call committee would even want to speak with me. In all of this praying, talking, and considering, I never once took anyone at Saint Matthew into my confidence, not even that faithful group of leaders to whom I was so close. I had been taught that you just didn't tell anybody in your current parish when you were contemplating a potential call to another church. The thinking was that if it turned out that God wasn't calling you to another church, you didn't want to be in the position of jerking people around. "I'm your pastor. Follow my lead. But I might be going," are hardly words designed to inspire confidence or assurance. And I have seen congregations impacted negatively when pastors took calls to other churches two years and more after saying that that was a possibility. In the meantime, ministries lost momentum. And some congregants feel that if the pastor was going to leave anyway, she or he ought to just go. So much for what I'd been taught or what I saw as the rationale. I now realize that I should have taken that special coterie of courageous people of faith into my confidence. I needn't have told the entire congregation that I was talking with another church. But I should have told these leaders something like, "I don't know how this is going to turn out. But I've been interviewing with another congregation." I owed them that. When I finally told these amazing people that it was 90% certain I would be leaving, it was awful. They felt that they'd been deceived. And they had been. It wasn't that I had lied to them overtly. I lied to them by withholding information. After the two had bitten into the fruit, Priolo notes, "Their eyes were indeed opened, and they did see good and evil. But unlike God (and this is what the serpent neglected to tell them), Adam and Eve would know evil experientially. God indeed knows the difference between the two, but His knowledge of evil is not firsthand--but, as it were, from a distance." "Of course," Priolo continues, "Satan also concealed the sinful and utterly miserable condition that this 'new state of enlightenment' would bestow upon them." It was partly because of this lie by concealment that Jesus called Satan, "the father of lies" (John 8:44). First, God's Holy Spirit was stirring me to interview for and ultimately to accept the call to Living Water. His hand was in things from the start, when I read the job description and thought that they were describing me. And I take great comfort from the fact that this congregation, the council, and the call committee approached their task with constant prayer and with thoroughness. I've never had any doubts that God called me to Living Water; I've entertained many doubts about how I handled leaving Saint Matthew. Second, I should have taken that group of dedicated leaders at Saint Matthew into my confidence and told them what was going on. Yes, that would have been tough. But it would have been more forthright and more helpful had I done so, rather than simply unloading on them one evening, telling them that my leaving was all but a done deal. Third, I need to be very intentional about incorporating unflinching truth-telling in my everyday living. This is a lot easier said than done. The truth is, we probably all lie. Or, as Priolo puts it: "Who can really maintain that he never breaks this commandment? To make such a claim is to instantly break it." Lying is part of much of our everyday discourse, whether we realize it or not. During the 1976 presidential campaign, the first presidential election held after Richard Nixon resigned the presidency, done in by the mountains of lies he had spread about his attempts to subvert democracy and justice, Jimmy Carter promised the American people that he would never tell a lie. A reporter asked Carter's mother if her son ever told lies. Miss Lillian replied that he might sometimes tell "a little white lie." The reporter asked what she meant by "a little white lie." "Well," she said, "do you remember how I said that I was glad to see you when you walked in just now?" But a lie is a lie whether we add the adjectives "little white" or not. The Bible does seem to intimate that there are times, as when you're trying to protect someone from being killed, that lying is acceptable. For example, the book of Exodus tells us that after the Pharaoh in Egypt ordered that all male babies of the Hebrew slaves should be killed by the Hebrew midwives. But the midwives didn't do what the Pharaoh ordered them to do, claiming that the Hebrew women were so strong that they were birthing their baby boys before the midwives could get to them. (Exodus 1:15-21). Exodus says that God "dealt well with the midwives" for this deception that saved lives. Later, the book of Joshua tells us that when the Hebrews, God's people, prepared to occupy the land that God had given to them, a prostitute Rahab who had come to believe in God lied regarding the whereabouts of Hebrew slaves who had entered the city of Jericho to spy it out before attack. The New Testament book of Hebrews hails Rahab as a person of faith, made right with God by her faith in Him: "By faith Rahab the prostitute did not perish with those who were disobedient, because she had given a friendly welcome to the spies" (Hebrews 11:31). But these are exceptions. Most of the time, we don't lie to protect other people's lives, but to protect our own skins, our reputations, our desire to have pleasant conditions for ourselves. Those aren't sound reasons for any kind of lying. I'm reading this booklet in the hopes that it will help me to speak the truth (even inconvenient truths) in love (Ephesians 4:15). Priolo does give helpful pointers on dealing with this particular sin in our lives. But the first step in dealing with this, as with any other, sin, is to acknowledge its existence within us. I do acknowledge this sin. 1 John 1:8 says: "If we claim to be without sin, we deceive ourselves and the truth is not in us." The second necessary step is to confess this to the God we know in Christ, seeking forgiveness. Scripture says: "If we confess our sins, he is faithful and just and will forgive us our sins and purify us from all unrighteousness" (1 John 1:9). The third thing we need to do is to confess to those who have been hurt by our sin. This may sometimes be hard to pull off. And our apologies may not be accepted. (More on this below.) Jesus says: "if you are offering your gift at the altar and there remember that your brother or sister has something against you, leave your gift there in front of the altar. First go and be reconciled to them; then come and offer your gift" (Matthew 5:23-24). I have confessed this wrong to the members of this group back at Saint Matthew. I hope that they know how much I regret the my concealment. The fourth thing we need to do is to accept that, even after God has forgiven us for the sake of what Jesus did for us on the cross, not only may others not accept us or ever trust us again, there may be consequences from the sin of lying we can't imagine. In Christ, God forgives and grace is free, but the bonds of trust with those to whom we have lied are deeply harmed, sometimes completely destroyed, by our lies. In the Old Testament, we're told that God forgave David for adultery and murder, but that his sins had consequences on earth, his reign as king forever marred by the trust and respect he had lost. The key thing is to continuously turn to Jesus, God in human flesh, Who took the death punishment that we all deserve for sin and rose from the dead, confirming His power to forgive us and make us new. Jesus can renew us in His forgiving grace each time we truly repent for our sins. Jesus can also give us the power to live our lives differently. He is "the way and the truth and the life," the only path to life with God runs through repentant faith in Jesus. Despite my sins and faults, I'm relying on Him to make me new. You can too. Democratic presidential nominee Hillary Clinton received a rousing response to a line in her acceptance speech on Thursday night: "America is great because America is good." The statement alludes to, but is not a direction citation of, a line in Alexis de Tocqueville's famous observation in his 1835 book, Democracy in America. The full quote, as usually cited, is: "America is great because America is good, and if America ever ceases to be good, America will cease to be great." The Frenchman who traveled and studied the US in the early-nineteenth century said this in reference to the importance of Christian faith to Americans and how it impacted the way they conducted their personal and communal lives. No Christian would claim that the good they may do comes from them. It comes from Christ living in them. Galatians 2:20 says, "I have been crucified with Christ and I no longer live, but Christ lives in me. The life I now live in the body, I live by faith in the Son of God, who loved me and gave himself for me." When, by faith, I submit to the daily crucifixion of my old sinful self, I make room for Christ to live within me. Whatever good I do comes from Christ, not from me, but from Christ alone. Anything I do in my own wisdom will always be tinged by my intrinsic sinfulness. But when I let Christ in to daily destroy the old and create the new Christ-me, Christ impacts how I live my whole life. The Bible says that I bear good fruit. De Tocqueville observed how important faith in Christ was to the people of the young republic and concluded that the American constitutional system could not survive without the goodness which God fosters in Christian people. The French observer was not saying that the American people were intrinsically good. The way white Americans were treating Native Americans and African-American slaves alone would have argued against that. But the fledgling, imperfect republic had the makings of goodness and the evidence of some level of goodness in a society steeped in Christ's death, resurrection, and words. Americans in those days were often communitarians, joiners, neighbor-helpers. Christ preached and trusted in and lived out was what accounted for whatever goodness that de Tocqueville observed, a contrast to the cynicism and self-interest that characterized French life at the time. There is no human goodness apart from Christ. As Jesus, God in human flesh, said, "No one is good—except God alone" (Mark 10:18). And if we are to do anything good, it will require a faith connection to Jesus Christ. But we have this promise from Jesus: "I am the vine; you are the branches. If you remain in me and I in you, you will bear much fruit; apart from me you can do nothing" (John 15:5). America is good and human beings are good only when we let Jesus Christ into our lives. And then it's not our goodness but the goodness of God living in us. And that's what accounts for what greatness exists in us and in our country. Nothing else. I ask you to consider letting Christ into every part of your life today and everyday. We Christian pastors have a much more important message to share with the world than our political opinions, no matter how righteous we may feel our opinions are. And what's our more important message? We're to lift Christ up to the world--not a candidate, not a party, not a philosophy. Jesus alone can deliver hope, peace, purpose, grace, forgiveness, justice, and life. And when Jesus gives us these things, they come without defect, adulteration, strings, or term limits. They're free gifts that belong to all who seek to turn from sin and trust in Jesus Christ each day--who believe in or trust in Him--here in this imperfect world with all its challenges and beyond death in a perfect eternity with the crucified and risen Jesus. That's the message. And it never gets old. It's one of which we all need to be constantly reminded. And it can change the way we think, the way we raise our kids, the way we treat our neighbors, the ways we face life and death, and the way we live as citizens. As a Christian, I want people to know and follow Jesus so that they can have life with Him now and in eternity. As a pastor I don't want my personal political opinions--which could, after all, be wrong--to get in the way of that eternity-changing message getting through. *In the interest of full disclosure, I have not always been so reticent about expressing myself politically. I even ran for the Ohio House of Representatives. I wish that I never had. Although there were no negative ramifications of my run of which I'm aware, as I've matured in my faith and as a pastor, I've concluded it was a wrong move. I do occasionally talk about the politics of politics and the history of politics--I've been a student my entire life and majored in Social Studies Education at Ohio State, I haven't publicly shared my opinions on issues, parties, or candidates for some time. ...here's the version of Here, There, and Everywhere that Paul McCartney performed on his 1993 world tour. Saw him in Cincinnati then. This is from the 1982 release, Tug of War, which I would count as one of McCartney's four best LPs. I love the counter-melody. Here's a version of the song that Macca recorded (with Ringo Starr on drums) for the forgettable movie, Give My Regards to Broad Street. I love this rendition, which appears as part of a medley with the Beatles' classic, Here, There, and Everywhere. Someone reminded me of this group the other day. The video is about as thoroughly 80s as you'll find: synthesizer, big hair, poppy. Icehouse, from Australia, featured lead singer Iva Davies, who had a great voice. This 2001 song by Paul McCartney isn't his best work and his voice shows the decline that we've continued to see in the intervening decade-and-a-half. But this is still a wonderful ballad, displaying Macca's unparalleled sense of melody. It's a peculiar sentiment for McCartney to have expressed as he prepared at that point in his life, to wed his second wife, Heather Mills, as though he was having second thoughts. The impression is reinforced by the title, a phrase we usually associate with weddings, not the ends of relationships. While that may be reading way too much into things, the sadness of the lyrics are clear enough. "We'll never be together," the lyrics seem to say to a love, "but remember that I love you. If you only knew how much." Since the attack, I've not only had a stent inserted in the left anterior descending artery of my heart, where there had been a 100% blockage, but also, as a precautionary measure, I've received a pacemaker/defibrillator. The cardiologist is very pleased with my progress. Though I have an ejection fraction of only about 35%, my heart sounds good to him. My EKGs look good. And the pacemaker only engages periodically at night to regulate my heart rate. My doc was complimentary, though he did notice that I'd developed more of a spare tire. He mentioned in passing that I could "lose a few pounds." Personally, I was far more alarmed by my weight than the doctor seemed to be because, when one of the assistants weighed me, I learned that I was heavier than at any time in my life. The scales showed that I had ballooned to 189.7 pounds. I was appalled! I knew that I'd had to go from a 34"-waist to 36". And I knew that I'd been growing heavier. But when I saw the actual number, I thought to myself, "This has to stop now!" When I hit my late-40s, the waistline expanded and I hit 159-pounds. Even that was too much, according to my GP. My weight did come down after my heart attack, as I scrupulously avoided the foods against which the heart people warned me. But I never got serious about weight loss as a goal in itself. When I saw 189.7 though, I was shocked into taking action to reduce my weight. We don't keep scales in our house and I'm glad that we don't. I don't want to check my progress--or lack of it--every day. I'm trying to establish a different relationship with food and to be healthier, not to impress other people. This past Thursday though, we were in Columbus, where we shopped at one of our favorite grocery stores, Marc's. 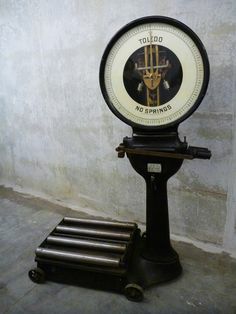 Next to the exit door are huge old-fashioned scales. I decided to step on and see if I'd made any progress. My weight registered at 181.5-pounds, a reduction of 7.2-pounds. I have to say that I was pleased. It isn't dramatic loss, but it feels that things are definitely moving in the right direction. The first two weeks were tough. After this period of adjustment, eating less is becoming easier for me. In fact, I ate too much at a meal last week. The size of meal was normal for me just a few weeks before. But I found that I felt miserable...after just those few weeks. I took that as an encouraging sign. I use the Lose It app on my smartphone to record my calories. I find it helpful and, from what I can tell, accurate. This past weekend, because I knew that I would be having more meals out than usual and because of my progress, I suspended the diet for two days, Saturday and Sunday. But I was back at the appropriate calorie levels today. I think a periodic vacation, especially after demonstrated progress is OK. I try to start out in the right way each morning. This is tough for me because breakfast is my favorite meal. But this morning, for example, I fixed myself two egg whites with less than a teaspoon of shredded cheddar cheese, a small stick of turkey sausage, and one ounce of orange juice. That came to 186 calories. (I was accustomed to fixing four egg whites with more cheese and having more orange juice for my daily breakfasts.) I find that reducing at breakfast sets the tone for my whole day. As time goes on, I find it easier to resist the temptation to take in unnecessary or harmful calories. I spent much of my day on Monday in meetings--interviews with prospective administrative assistants, a budget meeting, the meeting of a team charged with visioning our church's future building possibilities. I ate lunch, but had no dinner, as I dove into the afternoon and evening. In between meetings, a person, knowing that I'd not eaten dinner and had looked for something healthy in the church refrigerator, gave me a snack bag of corn chips. It was a kind gesture. But I told him, "Can't. That's got 140-calories." Just a few weeks ago, I would have found it easy to talk myself into eating a snack, "just to tide me over." In fact, I wouldn't have even questioned doing so. The tips and observations of a friend on eating and cooking echo in my mind these days. My friend probably doesn't even know how much I remember of or what an impact their words are continuing to have on me. But it helps to have a "food mentor," someone who has the right relationship with food and fitness and can point us in the right direction. If you have someone like this in your life, it can be a huge help! But the number one key to the progress I've made so far? Praying. Overindulgence in food is a desecration of our bodies. It gives an immediate gratification, a sensation that, like the wrongful use of drugs or alcohol, brings a fleeting good feeling that, unless we've become completely desensitized, later gives way to self-recrimination and guilt. There's good reason for feeling guilty about any abuse of our bodies, which are gifts from God. 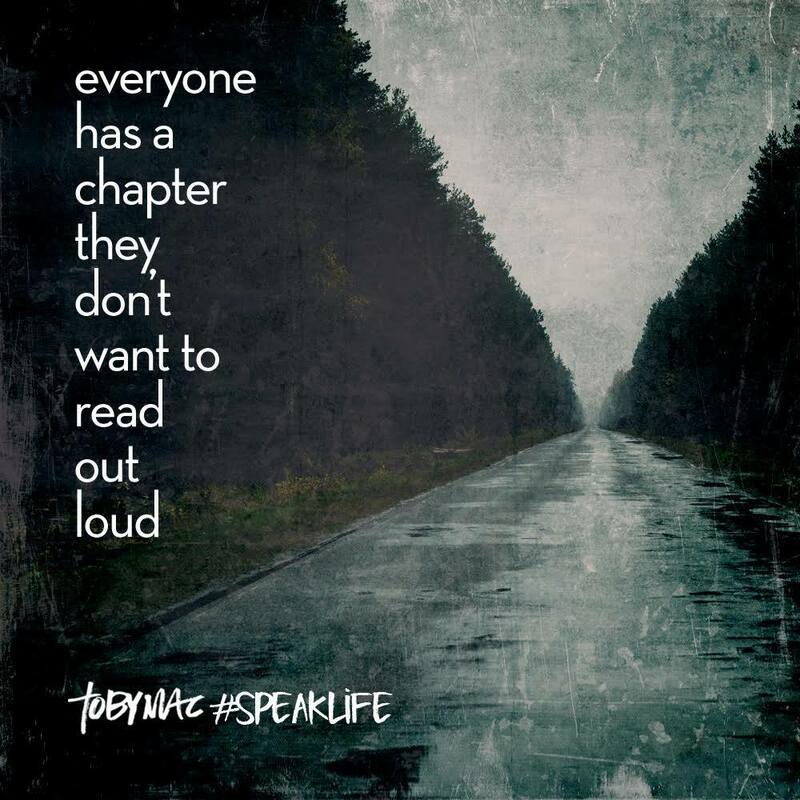 This is especially true for Christians. The Bible teaches Christians that our bodies are temples of the Holy Spirit, places where God dwells. It's one thing to know this, of course, and another to live it. Self-control is foreign to we human beings born in sin, deeply oriented to doing whatever gives us pleasure, God's will or our own well-being be hanged. But Galatians 5:22-25, tells us that those who willingly crucify both their selfish and self-destructive impulses, the subtle ways we're lured into behaving as though we were gods to ourselves, unaccountable to anyone, are given "the fruit of the Holy Spirit," including "self-control." God can give to those who seek His help through Christ, a strength that they can't muster on their own. So, when I'm tempted to over-indulge, to get that snack that would tip me past my allotted calories for the day, I pray. I pray just as I do when facing any other temptation in life. "God," I may say, "in Jesus' name, give me the power to resist this temptation. Help me to avoid unnecessary food. Give me strength to honor You by not abusing this body You've given to me. Make this the temple of Your Holy Spirit." Absent prayers like that, offered repeatedly, I have no chance of reaching my goal of 155-pounds. I'm not trying to get there in one fell-swoop. If I can lop off an average of 2-pounds a week, I'll be happy. In the meantime, I will be establishing a good habit and, at least in this one aspect of living, honoring the God Who has, through Jesus Christ, given me everything. Hopefully, this post will inspire you to do something about some aspect of your life that may horrify you as much I was horrified on June 13. But, remember to rely on the God we know in Jesus to help you reconstruct your life. Remember these words from Psalm 27:1: "Unless the Lord builds the house, the builders labor in vain." A friend posted this quote on Facebook: "What is needed, now more than ever, is leadership that steers us away from fear and fosters greater confidence in the inherent goodness and ingenuity of humanity." The speaker is former president, Jimmy Carter, someone I admire. And I agree with him that we need leaders who refuse to be afraid or nurture fear among those they are called to lead. But I disagree with the notion that we can have confidence in the "inherent goodness" of the human race. The Bible teaches that human beings, while certainly capable of great ingenuity (something I talked about yesterday), the human race does not possess an "inherent goodness." The Bible teaches that we are all born in sin. 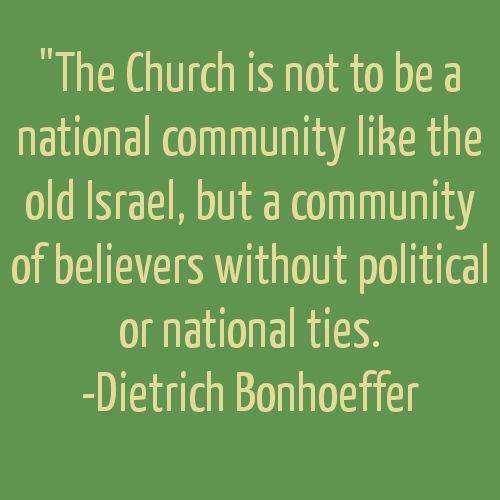 In other words, we come equipped with an orientation for not loving God or loving neighbor, unless it suits us. Sin--looking out for number one--is our default mode. You don't have to look far to confirm this truth. We have, as C.S. Lewis wrote, "inside information" on the reality of our sin condition. We need only do an honest self-assessment to see that if we rely on our own "inherent goodness," let alone the "inherent goodness" of the whole human race, we would be in trouble. But in what I described yesterday as "this fearful and apprehensive" age, we need not fear. I think that there are three reasons to flush fear from our lives. First, despite all the insanity and evil in our world, the God we know in Jesus Christ is still in control. "In this world you will have trouble," Jesus says. 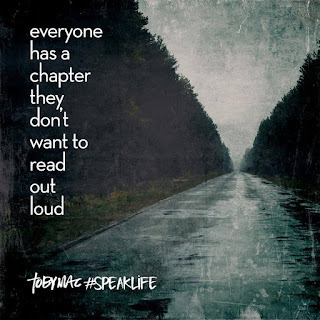 "But take heart! I have overcome the world.” (John 16:33) The world will do its worst, but sin and death will not have the last say. Jesus has come into the world so that all who will turn from sin (repent) and trust in Him as their only hope, will belong to God through all the turmoil of this world and, in total perfection, in eternity. Jesus has conquered every trouble and every fear that this world can throw at us. Second, the God we know in Jesus promises to be with those who follow Him, always. "I am with you until the close of the age," Jesus says to those who follow Him in Matthew 28:20. "Never will I leave you; never will I forsake you,” we're promised by God in both Deuteronomy 31:6 and Hebrews 13:5. And in Psalm 27:1, King David asks rhetorically: "The Lord is my light and my salvation—whom shall I fear? The Lord is the stronghold of my life—of whom shall I be afraid?" Third, the thing that our sinful natures fear the most is our own deaths; for those who repent and believe in Christ, that fear has been taken off the table. Jesus says: “I am the resurrection and the life. The one who believes in me will live, even though they die; and whoever lives by believing in me will never die" (John 11:25-26). And these words are backed up not only by the miraculous signs of Jesus capacity to make on good on this promise when he brought the dead back to life, but by his own resurrection, an event confirmed by more than 500 people. It is, maybe, this last point that gives us the greatest courage in facing our fears. Belonging to the God we know in Christ, Who has conquered my sin and the sins of the world, Who has conquered death for all who believe, sets me free to live without fear. We can pray without fear. Worship without fear. Love without fear. Change the world without fear. Stand up to injustice and bullies without fear. We can do all of that because, even if we get killed by the things that others fear, we know that we belong to Jesus for all eternity. "It is better to take refuge in the Lord than to trust in princes," Psalm 118:9 says. Don't rely on leaders to take away your fears. Civil leaders have an important role in securing safety and justice for a country's citizens, but none can erase all fears. No one can be relied on to take our fears away. And we can't rely on human goodness or ingenuity either. Jeremiah 17:9 reminds us: "The heart is deceitful above all things and beyond cure. Who can understand it?" Our inborn sin is too quick to offer us reasons for being afraid and faulty solutions for overcoming our fears. Proverbs 3:5 warns us: "Trust in the Lord with all your heart; and lean not on your own understanding." We don't have to be afraid for three big reasons: 1. The God we know in Christ is in control. 2. The God we know in Christ promises to always be with us. 3. The God we know in Christ has taken our number one reason for fear, death, off the table. Of course, every major league batter tries to hit the ball and all would like to be able to do it as often as Tony Gwynn did during his career. So, why don’t they? Gwynn may have been naturally gifted as a hitter, of course. But I think I learned the real reason for Gwynn’s success as a hitter during game a few years back, when a commentator was recalling Gwynn's career. The commentator said that every single day, on top of team batting practice, Tony Gwynn watched video of his at bats from the day before. With bat in hand, he analyzed his swings, correcting what he had done wrong, and reminding himself of the right way to swing a baseball bat. Tony Gwynn was one of the best ever because he always went back to the basics. He realized that if he didn’t get the basics right and build on them, his whole game would go nowhere. In a way, the New Testament letter to the first century Christian church in the Asia Minor town of Colossae was a call to get back to the basics of Christian faith. It was written because the apostle Paul had gotten disturbing reports that the Christians there were starting to pursue a fake Christianity. We don’t know everything about this counterfeit religion. But it seems to have said that, besides faith in Jesus, believers needed to keep the right diet, pay attention to what their horoscope said, be circumcised if they were male, observe certain festivals, and maybe, worship angels, and have visions. It was a mashup of mysticism, superstition, and Jesus thrown in for good measure. Of course, Paul was horrified. God has revealed that there is but one way to reconciliation with God, one way to freedom from sin and death, and one way to personal wholeness. That one way is through Jesus Christ and our faith in Christ alone. The most basic fact of Christian faith is that life, true life, abundant life, life with God, comes from Jesus Christ alone. You may remember that there was a whole Reformation based precisely on that truth. If we fail to root and build our lives on that reality, our lesson from Colossians tells us today, not only can we not grow as disciples, we risk veering away from God and from eternity with Christ altogether, as surely as a major leaguer risks veering off into mediocrity by failing to attend to the basics. Earlier in their letter, Paul had taken great pains to remind the Colossian Christians of Who Jesus is and how all their hope for life, purpose, hope, and eternity reside in Him. In today’s lesson, those ideas are carried forward. Paul says in verse 10, that “in Christ all the fullness of the Deity lives in bodily form.” Christ is truly God, truly human, carrying God's redemption for a fallen humanity that turns to Him in repentance and faith. [Baptism] means that our sinful self, with all its evil deeds and desires, should be drowned through daily repentance; and that day after day a new self should arise to live with God in righteousness and purity forever. So, as Paul pushes the Colossian Christians to go back to the basics, he reminds them of two important things. First, he focuses on the amazing fact that in Baptism, Christ shares His cross and resurrection with us. In Holy Baptism, our old selves die and our new selves rise to live with Jesus forever. That fact ought to have an impact on us! We ought to be in awe of it! What gets lost in the shuffle of a fearful, apprehensive age is that we live in an age of miracles and wonders. Our daughter Sarah was recently talking with some friends about the heart attack I had six years ago. I had a 100% blockage of the left anterior descending artery. I'll never forget the day I underwent a catheterization after the heart attack. It was cool because they kept me awake the whole time. I remember talking about baseball and music with the doctor, nurses, and attendants during the procedure. At one point, the doctor said, "I've found the blockage. I don't know if I can get through." "Please, God, grant that he's able to get through," I prayed aloud. "I got through, buddy," the cardiologist told me. "Thank God and thank you," I said to the doctor. "No," he responded, "just thank God." He knew that it's God Who provides to dedicated minds and hearts the treatments that make a difference in so many people's lives these days. Years before, this particular attack--called “the widowmaker”--would have meant certain death for me. Technology and medications lifted that death sentence from me. That’s awesome! But how much more awesome is it that the King of the universe, the Maker of all creation, has come into our world to be one of us, has died to erase sin’s power over us and risen to give new life to fallen humanity? Folks, that's the epitome, the very definition, of awesome! Don’t get sidetracked, Paul is saying. Remain focused on this basic truth: Christ has shared the victory of His cross with us at Baptism. And He will keep sharing that victory with us as we return to Him daily. That’s the first thing that Paul wanted the Colossian Christians to remember. Just as a baseball player can’t grow unless he or she goes back to the basics; just as a tree won't grow unless it has the basics of water, sun, and nutrients met, we cannot grow as people or as disciples unless we remain rooted in Jesus, the only One Who can give us life! Maintaining our connection to Christ means consciously, each day, lopping off any trust we might put in the world and its supposed wisdom and instead trust in Christ alone. I thank God that my parents had me baptized as an infant; there at the font, God made His commitment to me. In Baptism, God claimed me as His own. But I can tell you that had I died when I was nineteen years old, a time when I denied God’s existence and turned my back on Christ, I would have gone to hell. Christ never tires of extending His hand to us, offering forgiveness and life to the repentant. But we, in turn, in the strength of the Holy Spirit must grasp that hand, be willing to trust in Him, and remain connected to the One Who shares His resurrection victory with us. In Mark 16:16, Jesus says: “Whoever believes and is baptized will be saved, but whoever does not believe will be condemned.” In Baptism, the amazing love and grace of God in Christ comes to us in an earthy way, in the most common of earthly elements, water. This echoes the earthy entrance of God into the world as a baby, as a human being who bore our greatest burdens and death itself in order to set free from sin, death, and darkness all who trust in Him. But the question each day puts before us—at work, at home, in our daily decisions—is whether we’re remaining connected to Christ. Are we believing in Him? Are we trusting in Him? Or are we trusting in ourselves? Or the latest psychological theory or political celebrity? It’s not only our salvation, but our growth as human beings and as disciples that rests on our choice from moment to moment each day: Do I trust in Christ or do I trust in the world? It’s as basic as that. *Because baptism is an analog of circumcision, this is one more argument for the validity of infant baptism, by the way. **To coin a new word.